UPDATE: We recently released our own VR educational (free) app for the Samsung Gear VR. Simply search “Unimersiv” in the Oculus Store to download it. Finding a good Gear VR app for free can be hard! We wrote this guide to help you spend time on the best Gear VR app for free! The Gear VR is in our own opinion, the best mobile headset available in the industry for now. If you own a Samsung phone (S6 or S7), you can get access to an incredible VR experience for $99 only! Milk VR is great free app that can be compared to a VR version of Youtube. Users can upload 360-degree video to the service with users able to stream or download content that is usually no longer than ten minutes. There is some great content on this platform and we highly encourage you to browse it! We highly encourage you to try the full Ocean Rift version that is incredible but if you are looking for free apps you can download a free demo of this great app that will let you travel underwater in Virtual Reality. In Ocean Rift you will be able to swim with dolphins, tropical fish, turtles, sea snakes, rays, sharks, whales, and even extinct prehistoric reptiles! InCell and InMind VR are two apps published by the same developer. In between an educational experience and a shooting game, for two apps are really well done and are available for free on your Gear VR! Woofbert VR is a Gear VR app that will let you explore the Courtauld Gallery in Virtual Reality. This app is reshaping the landscape of storytelling and revolutionizing the way the world looks at art. With its last update, Woofbert VR lets you step into an existing painting in VR. Such a great way to improve Art Education. A great review of the app was recently published on our blog. Colosse is one of the winner of Oculus’ first VR Jam. It’s a storytelling experience with a beautiful stylized design and a character-focused visual language. While the viewer has no direct control over the action, the progression of the narrative will be gaze-based. The developers did a great job at creating a highly-stylized aesthetic that will immerse you in a visually impactful environment with appealing characters. A must try for your Gear VR! Do you want to learn a new language in Virtual Reality? You can do this with House of Languages Gear VR app! Using this cartoony app you will be able to learn English or Spanish in VR. What an incredible way to teach people new languages! In Tarraco VR, you can explore the ancient city of Tarraco in Virtual Reality. This incredible app is mixing 360° video in computer generated model to help you see how the city evolved over time. Try this app for free with your Gear VR and you should be amazed by the chariot races, gladiator fights and architecture of the forum and temple. Titans of Space from Drash VR has been around since DK1 but it’s still one of the best VR app available and good news, you can get it for free on your Gear VR! This educational app will take you from planet to planet in our Solar System and will teach you everything there is to know about them. Since our launch, we’ve been focused on VR and Education and Titans of Space is definitely one of the greatest example showing VR’s multiple benefits for education. Titans of Space is also available for the Google Cardboard or the Oculus Rift. 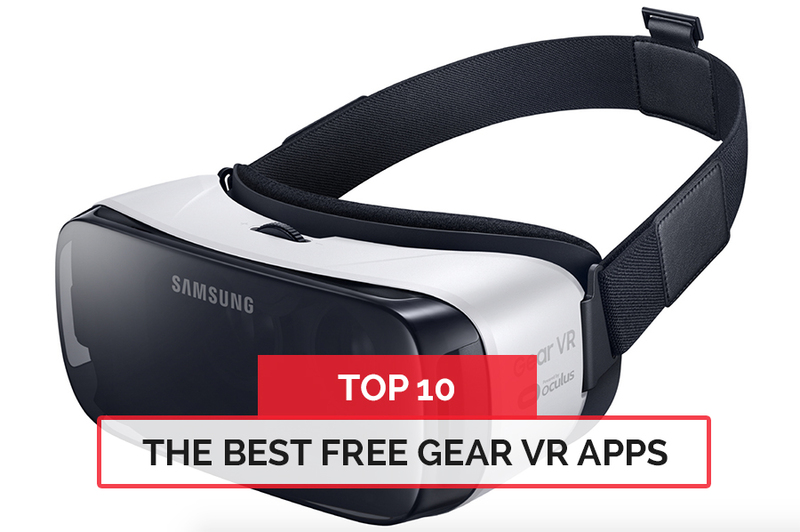 Next VR is our top pick for the best free Gear VR app! NextVR is a technology company that captures and delivers live and on-demand virtual reality experiences. They became famous last year by streaming the democratic debate in VR in 2015. They recently signed a multi-year partnership with Fox Sport to live stream sporting event content through NextVR’s Gear VR app. Unimersiv is the largest platform for VR educational experiences so if you would like to explore the Acropolis of Athens, Stonehenge or the Titanic you should download this app right now. Do you know any great free Gear VR apps we missed? Feel free to share it in the comments!